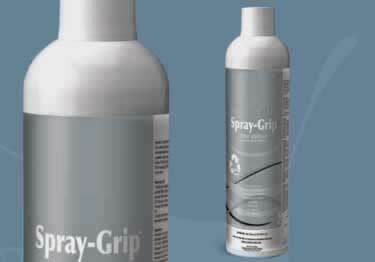 Formulated for use with vinyl and LVT tiles, 2600 Spray-Grip Adhesive is nonflammable and contains no VOCs. Water based, the immediate high sheer strength allows for foot traffic after installation and eliminates the worry of adhesive displacement due to early traffic. Canisters are completely recyclable with a design allowing for the complete use of the contents, so there is no waste. Coverage Per Can 150-185 sqft. Hi! I was wondering what the set up time is for this, and if there is a temperature limit? Where I am putting vinyl tile at is located under freezer cases, so the floor temp is pretty cool. Thank you for your time. Improves stair safety. Roppe vinyl nosing is formulated not to chip, crack or fade and is available in 30 color options.